Are you thinking of becoming a teacher in the great state of Iowa? A career in teaching is very fulfilling and rewarding. You will impact lives in ways you wouldn't have been able to with another career. Here are the steps which will help you become a teacher in the state of Iowa. Do you see yourself as a high school or middle school teacher? If you have a passion for a certain subject, then becoming a high school or middle teacher may be a good option for you. If not, perhaps you would prefer to work with younger children in an elementary school setting. Elementary school teachers teach multiple subjects at a foundational level. Perhaps you desire to work with children with special needs. Decide this first so you stay on track while going through the steps of becoming a teacher in Iowa. In order to teach professionally in the state of Iowa, you will need to have at least a Bachelor's Degree. In addition, you will will be required to complete a teacher education program. If you do not yet have a Bachelor's Degree, that is okay. 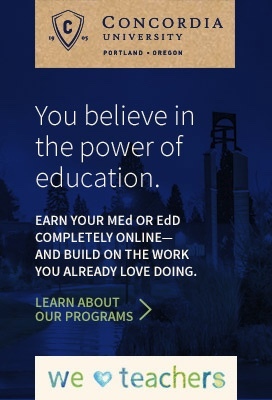 You can join a blended program, which combines all of the coursework needed for a Bachelor's Degree and a teacher education program. You can talk to your university or college advisor to find out if this is an option for you. If you do not have this option, you can pick a major that focuses on the specific area you want to teach. You must make sure the Teacher Preparation Program have been accredited by CAEP (Council for the Accreditation of Educator Preparation), formerly National Council for Accreditation of Teacher Education or Teacher Education Accreditation Council. Teacher preparation programs are usually based of two elements: curricula and fieldwork. Curricula essentially focuses on pedagogy, teaching methods, assessments, technology integration, special populations, and more. The fieldwork aspect often includes field observations, internships, student teaching, or a combination of all three. Student teaching is usually a very important element and typically includes creating and implementing lesson plans, writing reflections, and putting together a portfolio. As a student teacher, you will work together with a master teacher to create and implement lessons to students. As mentioned above, there is a possibility that you can blend together your Bachelor's Degree and teacher preparation program coursework. If you already have a Bachelor's Degree, you will most likely enroll in an alternative or post-baccalaureate teacher preparation program. There could even be a possibility to take part in a joint Master's Degree program. If this interests you, ask an advisor for more information on availability and coursework. There are alternative routes to take in order to become a licensed teacher in Iowa. For example, you can go to intern license route. The Board of Educational Examiners adopted rules to create a teacher intern license which allows a person who possesses a Bachelor's Degree and who meets other requirements an opportunity to become a high school teacher. In order to qualify for a teacher intern, you must have a minimum cumulative grade point average of 2.5 on a 4.0 scale from a regionally accredited institution. In addition, you must meet the subject matter coursework requirements for one of the secondary teaching endorsements. You should also have at least three years of post-baccalaureate work experience and successfully complete the introductory teacher intern program at a four-year college or university approved by the State Board of Education. In order to become a licensed teacher in the state of Iowa, you will need to pass certain assessments. You must take an exam to fulfill the basic skill requirement. This can usually be fulfilled by taking the Praxis CORE Academic Skills for Educators exam. This exam measures a candidate's skills in reading, mathematics, and writing. You will also be required to take the applicable subject matter competence exams. The subject area competence should reflect the area in which you want to teach. The Praxis II Subject Tests should be taken in your specialty area in order to qualify for licensure. In addition to the subject assessments, the this test includes multiple choice and essay questions on principles of learning and teaching along with teaching foundations. After completing the above steps, you will be ready to begin your rewarding career as a teacher in the state of Iowa! Teachiowa.gov is the state government supported marketplace for jobs in education throughout the state. This central database enables potential employees and employers to easily access resources. Successful candidates can join a teacher's union or professional association. The Iowa State Education Association (ISEA) is a labor union, and the Professional Educators of Iowa is a cross-professional non-union organization. Such organizations support teachers for professional development, networking, career advancement, and labor support. Finally, teachers who retire from the public school system are eligible to draw a pension through the Iowa Public Employees' Retirement System (IPERS) which services all manners of employees and retired employees of the state. Retired teachers may also benefit from joining the Iowa Retired School Personnel Association to continuing networking with like-minded professionals and continuing to influence developing trends in education. Teachers may also pursue employment in the private school sector as Iowa has 261 private schools across the state. Although private schools are not required to hire certificated staff, many prefer to do so. Salary, benefits, retirement, and career advancement may be different from public school expectations. The table below lists the number of public school teachers in Iowa by grade level during the 2012-2013 school year. There are more than 210 private schools with an estimated 3,100 private school teachers in Iowa. The table below details the number of teachers by grade level during the 2011-2012 school year. In every area of the country, teachers and school administrators work jointly in order to meet the needs of their students through ongoing professional development. The scope of their professional development is ultimately to increase student achievement for strong future generations. Professional development also has the added benefits of helping teachers achieve higher levels of pay and furthering their career goals. Programs and courses for educators are purposely designed for group discourse; improving practice in This way means all participants can benefit from the collaborative approach. In the state of Iowa, the Department of Education encourages teachers to use appropriate school and district channels in order to access lists of current and relevant course offerings. Earn a master's degree and complete at least five years of teaching experience as an Iowa educator and you'll be eligible for the Master Educator License, the highest educator license available in Iowa. Your Initial Educator License is valid for two years and may be renewed twice, for a maximum total validity period of six years. You'll be able to advance to a Standard License once you complete at least two years of teaching in an accredited Iowa public school or three years in any combination of public, private, or out-of-state accredited schools. A Standard License is valid for five years and is renewed upon the completion of at least six renewal credits. While not necessary, you can convert your Standard License to a Master Educator License upon completion of at least five years of experience and a master's degree in a recognized endorsement area, or in curriculum, effective teaching, or a similar degree program focusing on school curriculum and instruction. The Master Educator License is renewed every five years upon the completion of at least four renewal credits. Convert your Standard License to a Master Educator License here. 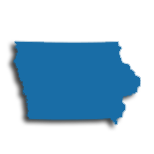 Learn more from the Iowa Board of Educational Examiners about educator licensing and renewal requirements. Earn a master's degree and you'll also be poised for a higher annual salary, in many cases. For example, educators in the Des Moines Public Schools with a bachelor's degree earn a minimum salary of $42,508, while educators with a master's degree earn a minimum salary of $46,312 - a salary bump of nearly $4,000 annually.